Tomorrow is one of my favorite days of the year... it's my birthday! ;) I'll be 27, and I think 27 is my scary age. Yikes! Since I'm a new mama, all I really want for my birthday this year is to sleep in (hallelujah! ), eat a cupcake, and snuggle my babe. 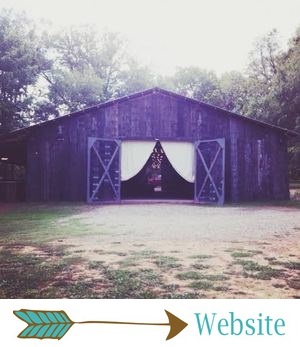 I also wanted to share with our sweet blog readers 27 of my absolute favorite moments and photos from weddings and styled shoots at The Barn! (You can read my 26 faves from my birthday last year right here.) I truly adore and am so thankful for this blog and my job! Have a great weekend! And wish me luck on that whole getting to sleep in thing. My forever favorite Barn wedding is this one... mine and Richard's! Our wedding colors were blush, gold and cream (I swear that was still somewhat original back then! ), and it was romantic, whimsical and a little bit glam. Our day was truly magical; we were surrounded by most of our favorite people as we pledged our lives to one another, and we had such a fun, stress-free, dream wedding! It was truly the best day ever, and I'm so thankful to have been a Barn Bride. The Breakfast at Tiffany's styled shoot, which was styled by our junior planner Kelsea, was one of my favorite moments of the past year. As a lover of all things French, I especially loved this pretty dessert table with croquembouche and gorgeous white and green florals! One of the best parts about working in the wedding industry: having an excuse to swoon over bridal gowns! Megan's was unbelievably pretty! One of my favorite recent weddings was totally different than anything our team has done before. Morgan + Tyler were married at a historic church in Dardanelle, and then they had their reception at The Barn. Their wedding was truly timeless! Oh, how I adore Megan + Daniel's peach and mint wedding (still!). The prettiest altar, prettiest flowers, and prettiest details ever! Hannah + Dallas' streamer and greenery-covered hoop altar was vintage-inspired, with a little hint of boho. One of our most creative altars, for sure! Morgan + Wager's elopement has definitely been one of the highlights of 2016. Their pink macaron-topped cake was probably my favorite cake we've ever done! All the details of their cake table were just too much pretty for me to handle! Kassie's bridal gown was perfection, and her boots were some of the prettiest I've seen! Barn Brides are truly the loveliest brides! Has The Barn ever looked prettier than it did for Monica + Ryan's reception?! Stephanie Parsley Photography, from Samantha + Danny's wedding, Mackenzie + Tyler's wedding and Jessica + Daniel's wedding; Tryston Hines Photography, from Katie + Alan's wedding. I included this same collage in last year's post, but these are still some of my absolute favorite bouquets, so I had to include them all again! Two of the most magical photos of our sweet couples on their wedding days. Megan + Drew and Samantha + Danny... it doesn't get more dreamy than this! Kassie + Adam's wedding was full of pretty in pink details, like this cute ice cream bar and a gorgeous naked cake! You've really got to see ALL of their details. There's a reason why this wedding was in Southern Weddings, y'all! My final favorite photo is of our incredible team. These ladies are the reason all these beautiful dream weddings exist! They are rockstars.